Hello, I visited your store in Bexhill after ordering online and the item was faulty. I ordered some wellington boots for my Grandaughter in good time, to arrive before Halloween, as they would be part of her costume. When they arrived, only one lit up. I contacted you online and was given automated information explaining your returns system. I also emailed you to ask about my nearest store to return the boots.I have still not received a response a week later. I found the store details myself and went along during my lunch hour to see if I could exchange them as I had one very disappointed Grandchild. Your Bexhill store does not stock the boots, so I had to order another pair and pay again. So I have now paid for 2 pairs and still don't have any in working order to give to my excited Grandaughter to wear for her party. i was told by the lovely lady that they would be here next Wednesday (02/10/16) in time for Bonfire night. 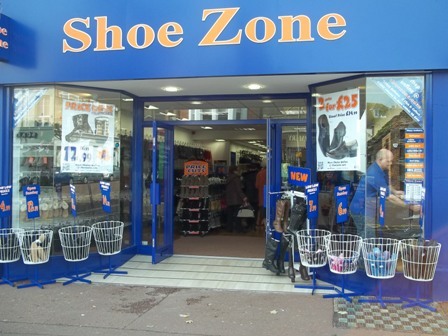 She was very sorry Shoezone had let us down and assured me that all would be fine and my Grandaughter would have her boots before the 5th November and she would call me the morning the delivery arrived. I waited until lunchtime but there was no call, so I called the store to be told that the delivery driver had only left one bag and the other bag was on the lorry and he would not turn around and wouldn't be back until sometime next week. As you can imagine this is very upsetting for a 5 year old who has been promised something and let down twice. I have paid for them twice and have still not received a pair that work. I have tried to contact Shoezone for some advice and assistance and have still not had a reply or an apology. It has been a couple of weeks now since a placed the order. I am upset with the way I have been treated and the service you have provided, I have had to run around during my half hour lunch break to try to sort it out, I have tried emailing and seem to be getting nowhere. Please can you tell me what you will do about this? Thank you S.ROE.